Your ego tends to blame others instead of understanding. It is easier than opening up true emotions. Taking responsibility will not only break down this barrier from your true self it will make you and your relationships better. Do not let your ego point fingers for your own actions – to improve your life take accountability and reflect on your actions. Shutting the world out and not being open is a huge part of your ego. 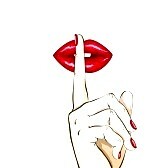 Most people do not want to show weakness, yet feel so weak. 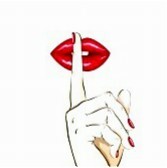 In order to tackle a hardship you have to stop hiding from your problems and express yourself. If you are not being honest with others you are not being honest with yourself. Your ego can be a huge wall blocking you from a connection with yourself and others. “I’m okay” seems easier than facing the truth at times. Jealousy is your ego hiding insecurities, weaknesses, and obsessions. Instead of being envious of ones success or happiness, try to come together as one which will result in co-happiness. Chances are you can learn something from someone you feel jealous towards. If you learn and grow from them you can excel further than just sitting back and being bitter. Instead of jealousy start admiring and looking up to those people that may have ‘what you want’. No one likes someone who acts like they are better than you. 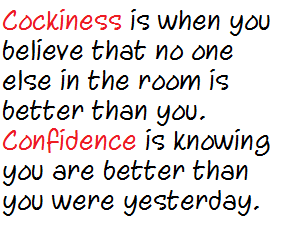 Being cocky is unapproachable, insincere, and overbearing. Your ego can make you feel the need to brag but if showing off is what gives you confidence than you have not accomplished the biggest task in life. Live a life with the confidence to not say a word about your success and instead take it all in and people will notice the confidence through your smile, soul, and attitude. Be humble. BS. You have too much pride to truly find love. If you stay stuck in your own head and make yourself feel better by saying it’s your choice to be single, you have not even conquered loving yourself yet. Love is beautiful, love is all you need to be happy and to keep you centered. First you must love yourself, than you will learn to love others – even their imperfections. Your standards are not too high, it’s your ego. Your soul is meant to easily love and accept everyone, embrace it. The list of excuses your ego have are endless, do not let it define you. 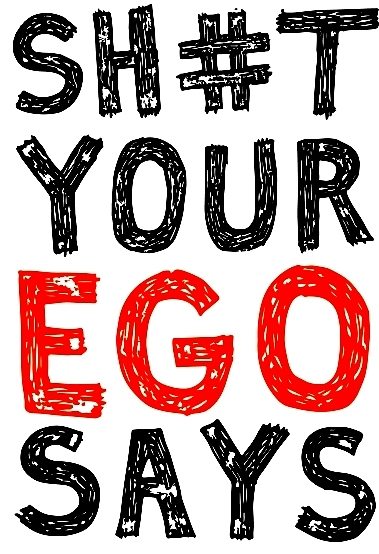 Recognize your ego, tackle it and connect with yourself. Everyone has an ego but everyone has a soul too. Do not let your ego get too big that your soul gets lost in it. Everyone has the power to love, accept, connect, and change the world. In my eyes that is more powerful than the power you think your ego gives you. This entry was posted in Advice, Confidence, Ego / Soul, Funny, Soul Searching and tagged cocky, confidence, ego, happiness, love, Meditation, soul, soul searching, Yoga. Bookmark the permalink. I am not all that well read in the blog world. That said, this is hands down the best. Now don’t go getting all ego-inflated over this feedback. By the way, great graphics and presentation. The whole package. Brilliant in depth and concept and presentation. Art with soul! Thanks so much for visiting my way, or I would have missed this and it is sooooooo excellent. Thank you so much, I truly appreciate your input and glad you enjoyed this concept as much as I loved writing about it. This is lovely superficial pop-psychology. However, I recommend that you do a little psychology research to improve your advice. Ego is actually the rational part of our personality which strives for balance by repressing the childish and selfish demands of the id. It has nothing to do with our lack of vulnerability, jealousy, confidence, or relationship standards. Any feedback is good feedback..will be sure to keep doing research. Thank you. Wow, I loved reading this. Your words speak so much truth. Loved this post especially the bit “Do not let your ego get too big that your soul gets lost in it.” Totally agree. Thank you so much for your like and the opportunity to find this awesomeness! Love the format, graphics and most of all the message….Oh and LOVE the “List”! 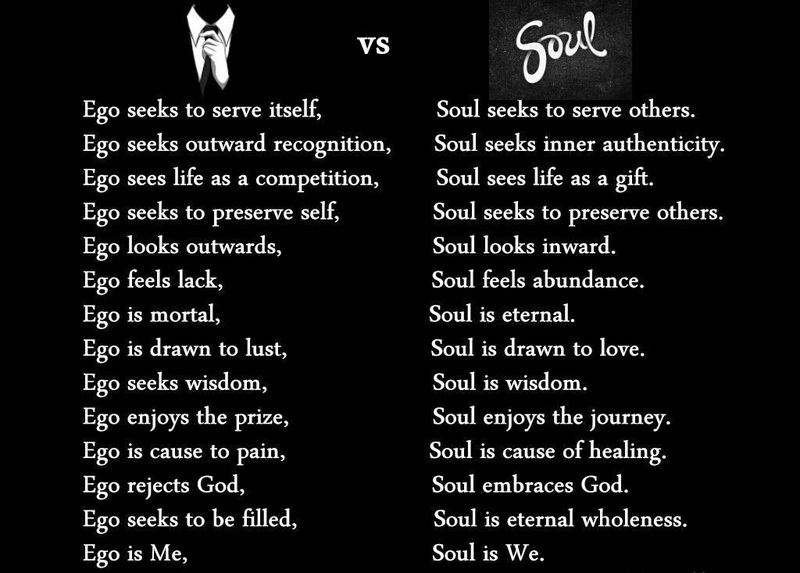 Sharing..
Love the ego vs soul comparison! This article is awesome! Great Job!